The embattled folks at HTC have been busy of late, and have broken cover to announce the impending release of a range of entry-level and mid-range phones, the Desire 300 and Desire 601. The Desire 300 (above) is HTC’s new entry-level smartphone, sporting design cues from its high end HTC One brother, and comes with a modest 1GHz dual-core Snapdragon S4 processor, backed by 512MB of RAM. Designed to replace last year’s Wildfire C, the 300 sports a 4.3-inch WVGA ‘full lamination display’ (you what?) and comes with HTC’s BlinkFeed home screen software. 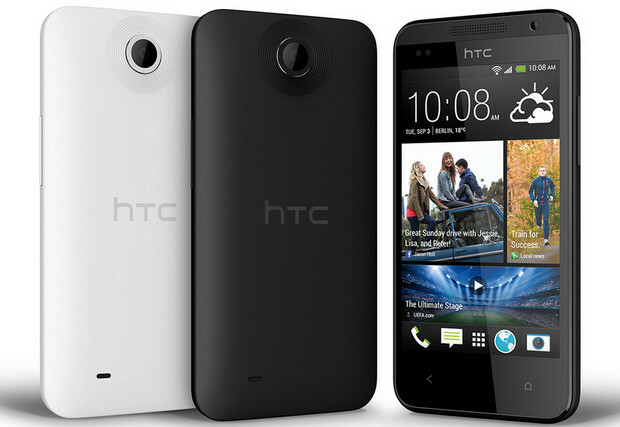 The Desire 300 is set to be released in “select markets” (including the UK) in October 2013. Billed as “a powerful value smartphone for everyone, the HTC Desire 601 (above) looks to be a decent enough mid-range device, packing a 4.5-inch qHD LCD display, with the device purring along on a a Qualcomm Snapdragon 400 dual-core CPU at 1.4GHz – the same CPU to be found in the HTC One Mini. Onboard is the latest version of HTC Sense, plus BlinkFeed, HTC Zoe and video highlights, while two large “BoomSound” front-facing speakers boost the audio experience. There’s a 5-megapixel camera around the back, and the handset can claim to the the fiorst of the long runninng Desire famlity to ship with LTE support. A European release is expected in September. 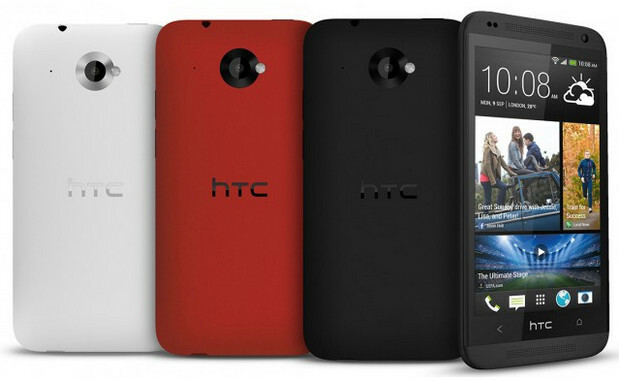 The new Vivid Blue HTC One models will be available in select markets from Q4 2013 and HTC BoomBass will be available from the HTC Accessory Store from mid October 2013. (http://www.htcaccessorystore.com) For more information visit www.htc.com.